Welcome! Please come in and relax and let me take care of you! Here is a partial list of all of my services. I would love to take care of your hairstyling needs! I use Framesi professional Italian color line and styling products exclusively. My specialty is color and highlights and foil placement. I graduated from the Paul Mitchell Academy in Costa Mesa, California. I have been the owner of two salons. 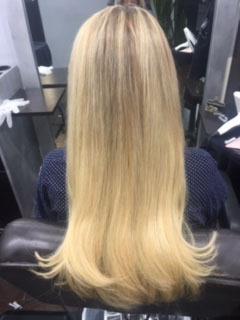 I am very well educated in straightening, smoothing treatments and hair extensions. I understand the importance of precision application. My focus is to keep the integrity of the hair, keeping the hair healthy and undamaged. I have been a color educator and have worked on runway models in LA for fashion week. Give me a call.